Our Billet mount for the braille B3121 21 lb battery is available in satin black powder coat finish. The assembled mount with hardware weighs 1.5lbs. The Mount dimensions are; 7.5625L x 5.5625W x 8.8125H. 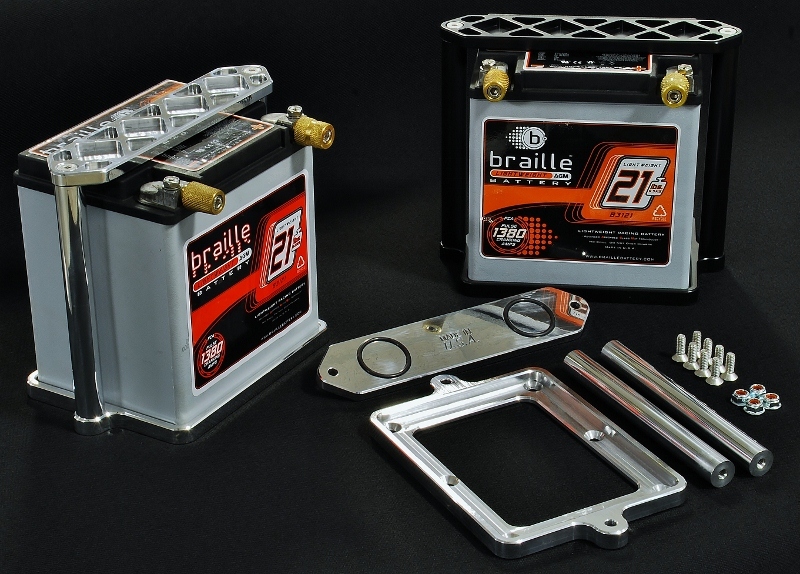 (Note: does not fit braille B3121C carbon case battery) price includes shipping to lower 48 states.